Christian Pulisic’s father has snuffed out any dim chance of Liverpool signing the USA international this deadline day.We had an £11m bid for the 17-year-old rejected last week, with Borussia Dortmund keen on keeping hold of the extremely talented attacking midfielder – but it turns out the player wasn’t keen on a switch anyway. Dortmund purchased Mario Gotze, Ousmane Dembele and Andre Schurrle during the summer, all blocking Pulisic’s chance of minutes this season – but at 17 – he’s plenty of time to eventually establish himself in the side. With Henrikh Mkhitaryan leaving, Thomas Tuchel understandably wanted to keep hold of the teenager as another option. 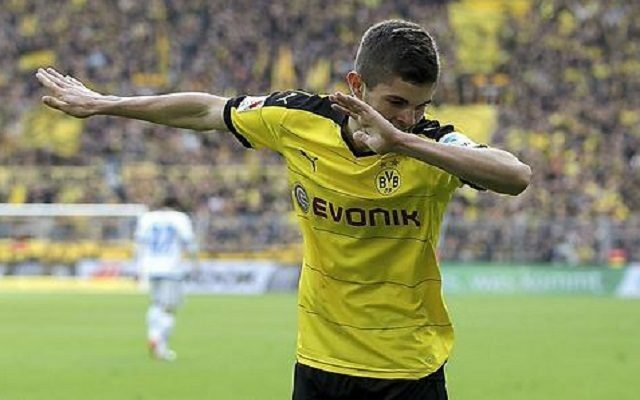 It’s interesting that Liverpool were interested in Pulisic in the first place, considering the plethora of attacking midfielders already at Jurgen Klopp’s disposal. Our German manager saw Pulisic at first hand though when he managed Dortmund, and clearly thinks his ability and potential is so high it was worth an offer. Nothing will happen today, but we wouldn’t be surprised if Liverpool didn’t go back in for the American at some point in the future.